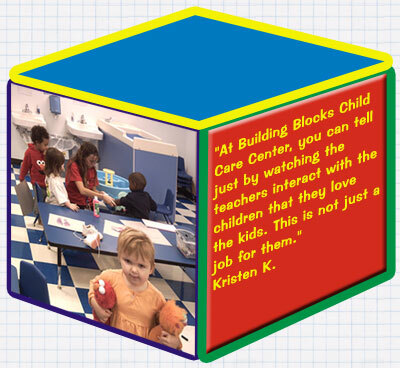 Building Blocks Child Care Center, Inc.
"Where Children Come to Learn, Laugh and Play"
"My daughter went from being at home with me for the first year to going to Building Blocks. 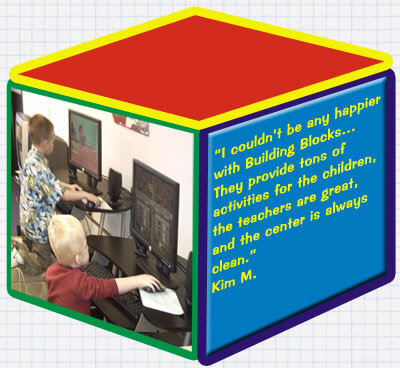 Since she has started attending the center, she has been learning how to share and has made new friends. I can tell a big difference in how she interacts with other people now. I can also tell that she is very happy, which, in turn, makes me happy." 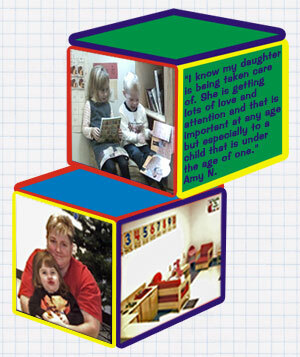 Family Discount Plan: $5 per week discount applies for multiple children enrolled. Discount doesn't apply to the first child. We accept vouchers from all counties. 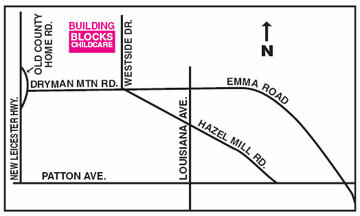 Copyright © 2005 - 2015 Building Blocks Child Care Center, Inc.